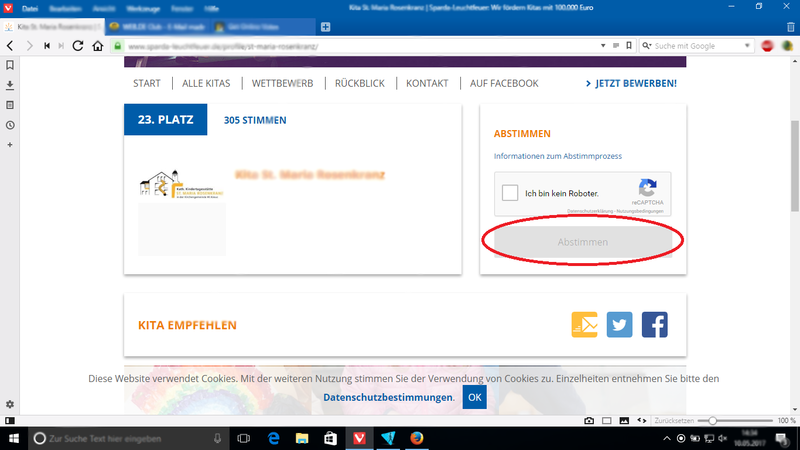 Need 500 Votes to support the kindergarden of my daughter. We need to get Top15. Voting ends on May 30th. The kindergarden can win a price to get some new materials for the education of arts. The make good work with the children, so i want to give back some help. i have a paid vpn. please order me now. i shall provide you -your country based and active hand work captcha fill up 500 votes everytime you place an order. i shall provide you snapshot of every vote.